Calves. Them tight little muscles at the end of your legs and are the bane of many bodybuilder’s lives. How often does conversation focus on them at the gym? So, where is it that many people go wrong with their calf training? 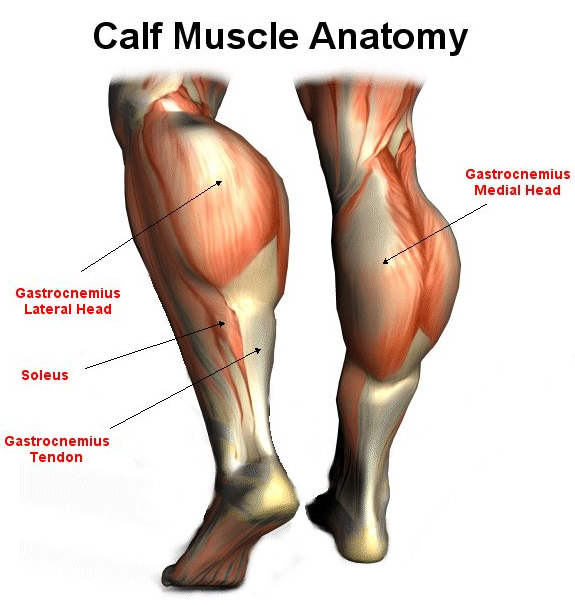 The calves are probably the hardest working muscles in the body, especially for those who are on their feet all day. They spend hour after hour doing high volumes of partial reps with light weights, and they do it well. Their powers of lactate clearance and recovery are second to none; they can go for hours before they begin to ache or tire. There is absolutely no point in replicating this type of work in your calf training, and this simple mistake is where many go wrong. To stimulate your calves to grow you have to hit them hard and heavy, with a full range of motion, and massive intensity. There is no point in stepping into the calf raise machine and bobbing up and down twenty times. Your calves will just laugh at you, they see that all the time. They need to be shocked! If you have a body part that is lacking, you need to give it special attention. The best approach is to train it at the beginning of your workout. So instead of half-heartedly bobbing your calves around a few times at the end of leg day when you’re half dead, train them at the start, when you’re fresh. Begin with a couple of sets of super high reps to get everything warmed up and the blood flowing. Establish the essential mind-muscle connection. Two sets of 50-100 reps should do it, starting with either seated or standing calf raises. But make sure every one of those reps utilises the full range of motion available. All the way down, and all the way up. Squeeze at the top for a second or more to really feel the muscle contracting, then lower the weight, feeling the calf muscles stretch all the way down. Once your calves are pumped, it’s time to get into your working sets. Begin with a heavy set of 10. Again, use a full range of motion and squeeze at the top. Squeeze for up to 3 seconds on your working sets. Stretch between sets and rest for no more than 30 seconds. 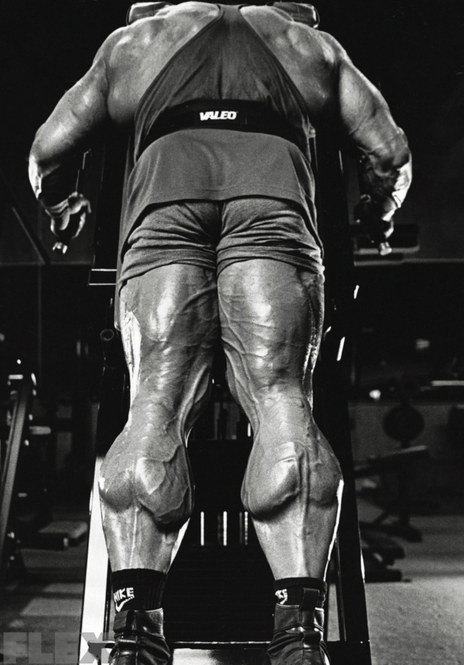 Keep the intensity high, shock those calves into growth. Your big sets should be in the 6-8 rep range, but don’t be tempted to use a weight that is too heavy, and compromises form. Keep it strict, keep the range of motion full, and squeeze hard at the top. Finish each exercise with a drop set. Keep dropping the weight until you can barely move. Pump those calves until the skin feels like it’s ready to burst. The seated calf raise is the perfect compliment to the standing version, as it effectively targets the deeper soleus muscles. Well developed soleus can add serious thickness to your calves. Begin with a high rep set to get the blood pumping and then get down to business. Set yourself up so your lower legs are at right angles to the ground. Now, using the same technique as with standing calf raises, attack those calves! Leg press calf raises mechanically resemble donkey calf raises. As mentioned previously, calves are extremely resilient muscles recovering rapidly. For this reason, you should train them twice per week. 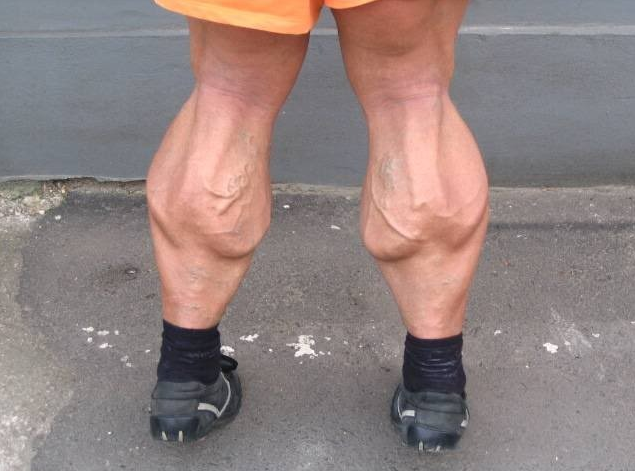 As deadlifts also hit the calves, right after a deadlift session would be a good time for some extra calf training. You may even find that you can train calves three times per week. Leg day is probably the toughest day of the week. Taking Sheer Strength Labs BCAA’s (Branched Chain Amino Acids) can help fuel the muscles and prevent muscle breakdown.